Recently the Lenovo Z6 Pro was said to be coming with the ability to capture 100MP shots and it was also said to be coming with a new HyperVision feature which will be supporting Hyper Video. According to the latest confirmation from Lenovo’s CEO Chang Cheng, the upcoming device is confirmed to come with the latest Snapdragon 855 chipset which we have already expected since it is a flagship handset. The device will be introduced in the next few weeks and in the teaser image we can also see a glass back giving the device a premium look. This device will be available in the 5G model and a recent 3C certification also hints the support for 27W fast charging technology. HyperVision is a feature that will capture Hyper Videos which can transfer videos at high rates compared to normal video. 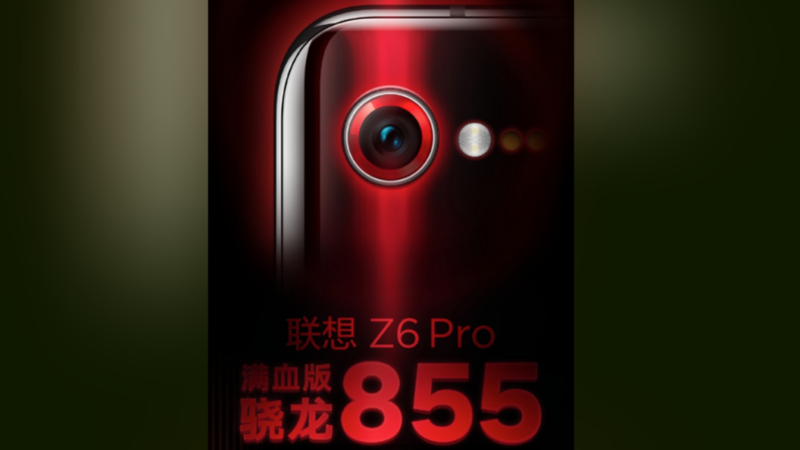 Lenovo Z6 Pro will also be able to shoot Hyper Videos that can be transferred to supported smartphones. The device will be coming with Android 9.0 Pie operating system out of the box and will be getting further updates when they are available. The camera of the device will also be able to shoot Super macro images, Super Night modes and few other modes considering it to a camera centric device. Recently we have seen Lenovo launching its Lenovo Z5 Pro GT smartphone which also came with Qualcomm’s latest 855 SoC and Android 9.0 Pie OS. It will be interesting to see what new features will Lenovo introduce with this device and what new technology it will be using to capture 100MP shots and HyperVision videos. Do you have any idea about this? Are you excited to see this smartphone? Well, comment in the section below to share your views and also if you have any queries. Stay tuned to Android Advices for more similar news and updates.